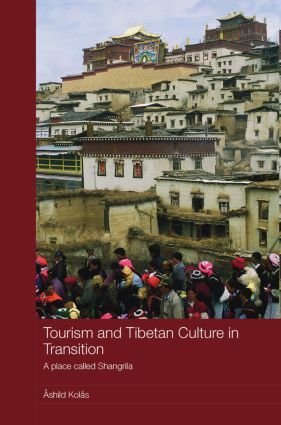 This book explores the relationship between tourism, culture and ethnic identity in Tibet in , focusing in particular on Shangrila, a Tibetan region in Southwest China, to show how local ‘Tibetan culture’ is reconstructed as a marketable commodity for tourists. It analyses the socio-economic effects of Shangrila tourism in Tibet, investigating who benefits economically, whilest also considering its political implications and the ways in which tourism might be linked to the negotiation and reassertion of ethnic identity. It goes on to examine the spatial re-imagining provoked by the development of tourism, and asks whether a tourist destination inevitably becomes a ‘pseudo-community’ for the visited. Can a fictitious name, invented for the sake of tourists, still provide the ‘natives’ of a place with a sense of identity? This book argues that conceptions of place are closely linked to notions of social identity, and in the case of Shangrila particularly to ethnic identity. Viewing the spatial as socially constructed, and place-making as vital to social organisation, this is a study of how place is constructed and contested. It describes how local villagers and monastic elites have negotiated the area’s religious geography, how agents of the Communist state have redefined it as a minority area, and how tourism developers are now marketing the region as Shangrila for tourist consumption. It outlines the different ‘place-making’ strategies utilised by the various social actors, including local villagers to create the communities in which they live, monastic elites to invent a Buddhist Tibetan realm of ‘religious geography’, agents of the People’s Republic of China to define the area as part of the communist state, and tourism developers to market the region as ‘Shangrila’ for tourist consumption. Overall, this book is an insightful account of the complex links between tourism, culture and Tibetanethnic identity in Tibet, and will be of interest to a wide range of disciplines including social anthropology, sociology, human geography, tourism and development studies.